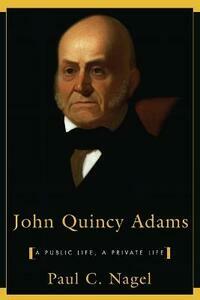 John Quincy Adams was raised, educated, and groomed to be President, following in the footsteps of his father, John. At fourteen he was secretary to the Minister to Russia and, later, was himself Minister to the Netherlands and Prussia. He was U.S. Senator, Secretary of State, and then President for one ill-fated term. His private life showed a parallel descent. He was a poet, writer, critic, and Professor of Oratory at Harvard. He married a talented and engaging Southerner, but two of his three sons were disappointments. This polymath and troubled man, caught up in both a democratic age not to his understanding and the furies of passion, was an American lion in winter.